The Kosovar and Serbian governments have been publicly debating since August whether a land swap could normalise bilateral relations and settle one of the Balkans’ lingering inter-ethnic political (and territorial) disputes. Despite the initial hype and support from the EU and the US, little progress has thus far been made in getting the proposed deal off the ground. Until 2008, Kosovo was in a sort of political limbo: overwhelmingly inhabited by ethnic Albanians, the former Serbian province had spent the previous decade recovering from the war with Yugoslavia, at the conclusion of which the UN established a mandate across the territory in order to oversee its administration and spearhead a peace process. But efforts to stabilise the area and ease ethnic tensions proved mostly futile and, in 2008, Kosovo unilaterally declared independence. The move outraged Belgrade, which considers the area inalienable Serbian territory. Indeed, Kosovo and Metohija, as it is known to the Serbs, is considered the cradle of Serbian Orthodoxy and intrinsically linked to the Serbs’ Christian identity. 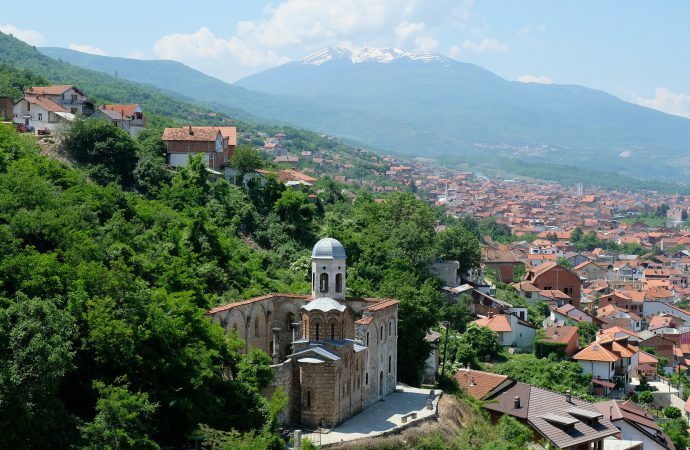 It is also where the Serbian nation came face-to-face with Ottoman invaders in the storied battle of 1389. Thus, having separated from Montenegro just two years prior — the Montenegrins voted in a referendum to become independent in 2006 — Serbia, once a core component of the former Yugoslavia, was seeing its territory suddenly shrink further. The Muslim-majority Kosovars, meanwhile, immediately gained recognition from the West, including the US, UK, France, Germany, and Australia. Also quick to welcome the new kid on the bloc were several regional states: Bulgaria, Croatia, Macedonia, Turkey and mother Albania. Other than the UN, where Kosovo’s membership has been blocked by Serbia, the EU also has shown interest in facilitating a resolution to the prolonged dispute between Pristina and Belgrade. Compared with other candidate member states in the Western Balkans, Serbia has had the most success in advancing its EU accession negotiations, but Brussels has made it clear that it will only give the green light once Serbia and Kosovo normalise their relations, both politically (through mutual recognition) and economically (where trade is not hindered by tariffs, among other things). Federica Mogherini, the European high representative for foreign affairs, has been overseeing talks between the two sides since 2014. Last August, it was announced that Kosovar President Hashim Thaci would propose a ‘border correction’ to his Serbian counterpart Aleksandar Vucic as a first step in the rapprochement. 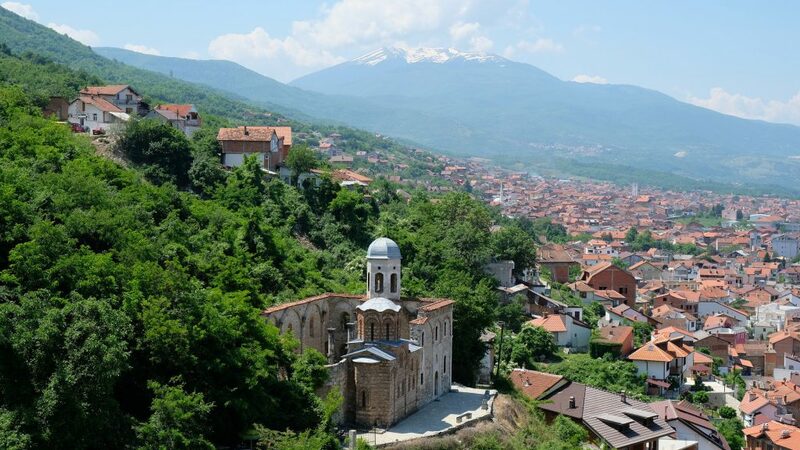 Kosovo would cede the northernmost areas of its northern Mitrovica district, which are populated predominately by ethnic Serbs, and, in return, Serbia would transfer control of Presevo and other towns or areas in its south with an ethnic Albanian majority. Such a deal would necessarily entail Serbian recognition of Kosovo but if developments of the last few months are any indication, both parties are far from getting the proposed land swap off the ground. In September, President Vucic pulled out of scheduled one-on-one talks with President Thaci mediated by Mogherini. 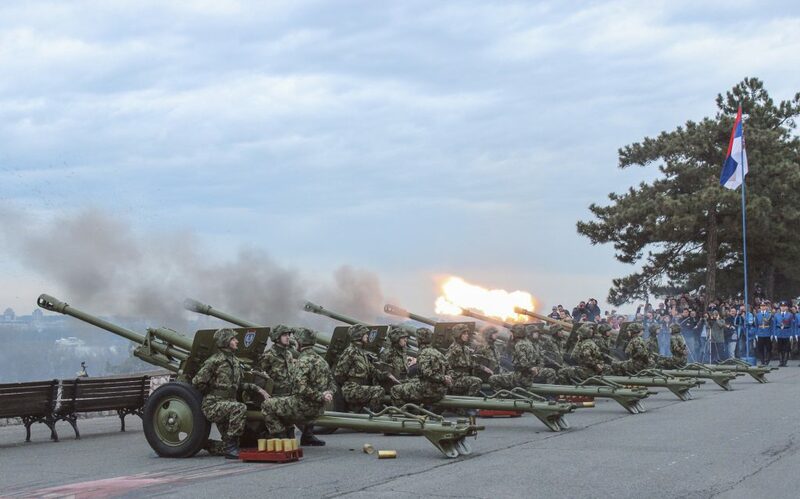 In October, the Kosovar parliament voted in favour of the creation of a national army, infuriating both minority Serbian lawmakers — who consider such an endeavour in violation of the state’s constitution — as well as officials in Belgrade. Moreover, just a few weeks ago, Pristina announced the imposition of a 10% tariff on goods imported from Serbia and Bosnia-Herzegovina, a move interpreted by Serbian political circles in both Belgrade and Bosnia’s Republika Srpska as an act of retribution in response to Serbian diplomatic efforts to reduce the number of states around the world currently recognising Kosovo. The EU has condemned the new tariff, labelling it a breach of the Central European Free Trade Agreement. COULD A LAND SWAP UNSETTLE THE BALKANS? Although appearing to be a hopeless case, with Thaci’s prime minister and the nationalist Vetevendosje opposition party outright opposed to any land swap (similar to a significant number of Serbs, according to a recent poll), the hypothetical exchange of territory between Kosovo and Serbia would strengthen the former politically and rid the latter of a major thorn in its foreign policy agenda. 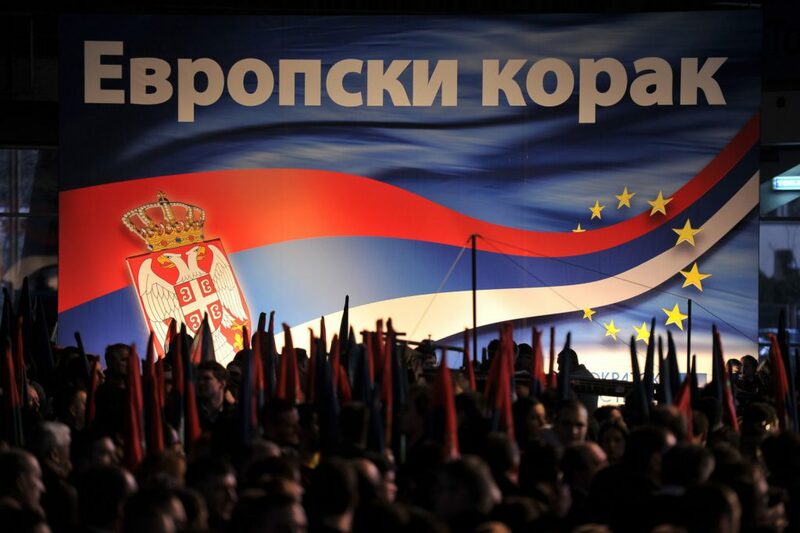 Yet, beyond full international recognition for Kosovo and admittance to the EU for Serbia, Belgrade’s recognition of Kosovar sovereignty could engender new territorial aspirations in the Western Balkans. Specifically, a correction of Kosovo’s borders may encourage ethnic Albanians in Macedonia — who constitute anywhere between a quarter to one-third of the former Yugoslav republic’s population — to demand a similar deal whereby the country’s Albanian-held areas would merge with neighbouring Kosovo or even Albania. But it is far more likely that greater recognition for Albanians outside Albania will give rise to the formation of a political axis across the Western Balkans from Pristina to Skopje via Tirana, a development that could shake stability in the region. In any case, Kosovo and Albania already appear to be heading toward de facto unification, with the borders expected to open early next year, enabling the unhindered passage of both people and goods between the two states. A greater, expansionist Albania is not only Belgrade and Skopje’s worse nightmare, but also Athens’, with Greece loath to have to turn its attention north again instead of eastward (at Turkey) should the name deal with Macedonia be finalised in the coming months. As for Brussels, despite the desire to see the issue resolved before the end of Mogherini’s term next year, the Europeans are conscious of the fact that the normalisation process cannot proceed without commitment and goodwill from both Belgrade and Pristina. At the same time, Berlin has made known its position, with German Foreign Minister Heiko Maas warning that a border swap could resurrect past ethnic tensions in the Balkans and Chancellor Angel Merkel flatly rejecting the notion of changing borders. In contrast, the US — which has a sizeable battalion of NATO troops stationed in Kosovo — has endorsed the proposal. Russia has reportedly also expressed its support for any peaceful deal between Pristina, with which the Kremlin currently has no formal diplomatic relations, and long-time ally Belgrade. With most of the region’s major players effectively giving their consent to the land swap, it is now up to Presidents Thaci and Vucic to resume negotiations in order to bring about a rapprochement and end the dispute. But, being the Balkans, the proposed deal may soon be buried for good, as the ethnic divide is often too difficult to overcome and the political variables needed to be taken into account just far too many.